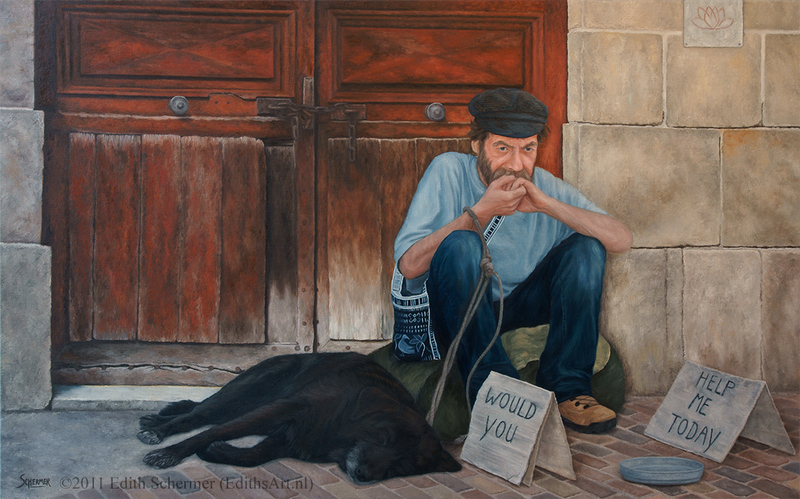 Oil painting of a French homeless man I saw in Le Puy on a yoga vacation in France in 2010. He had something very beautiful about him, yet I couldn't figure out why. It was only while painting that I figured it out. We are actually in some way all like this man, searching outside of ourselves. True happiness can only be found inside our own selves, by going inside. The lock is open.